ORLEANS: Affordable 1-Floor-Living! Spacious light & bright 1-Bedroom Unit with open dining/living room with sliders to outside balcony! Master-bedroom with full double closets. Updated Kitchen. Andersen(r) windows -- Central A/C --Elevator-- Professionally landscaped grounds! 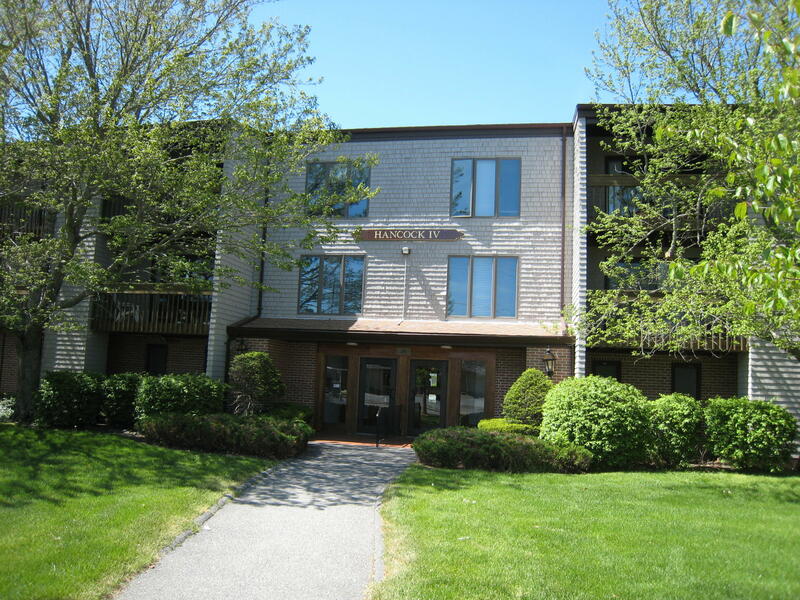 This unit offers more living space than a 2-bedroom Summerset unit (per Orleans Town Assessor field card) & definitely more closet space!Walk to scenic bike trail, pool & clubhouse, fine restaurants, shopping, coffee shops--Close to sandy beaches-watch the sunrise at Nauset Beach, gorgeous sunsets at Skaket Beach & Rock Harbor where you can watch the fishing boats come in!Please note:the use of the pool & clubhouse are included with your low condominium association fees! A pet is allowed with sensible restrictions. Directions to Property: Route 6A to West Road (towards Skaket Beach) or Main Street (towards Rock Harbor) to Old Colony Way to #24 - Hancock IV. Park in front or side visitor's parking.